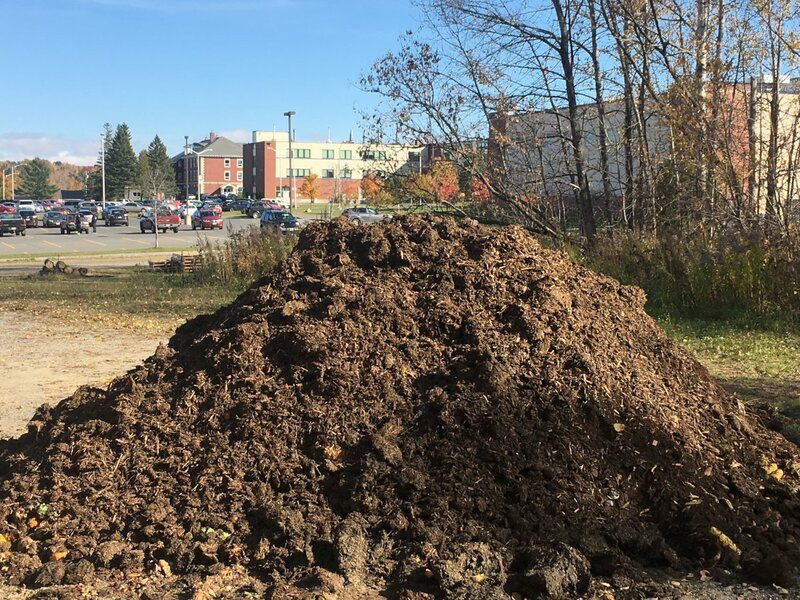 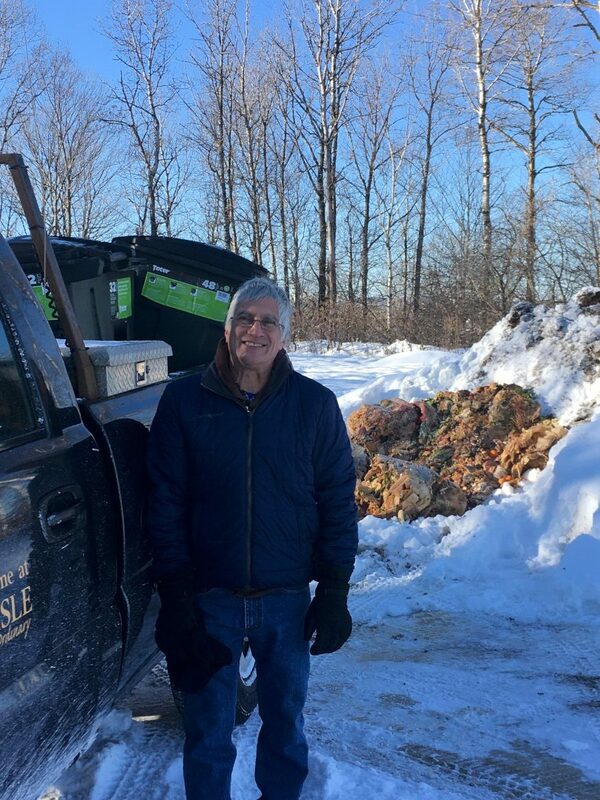 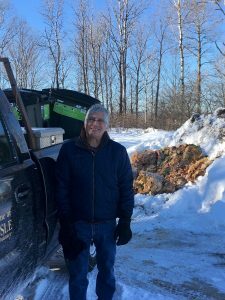 UMPI started a compost pile in September, 2017 with the support of Sodexo – our food service provider. 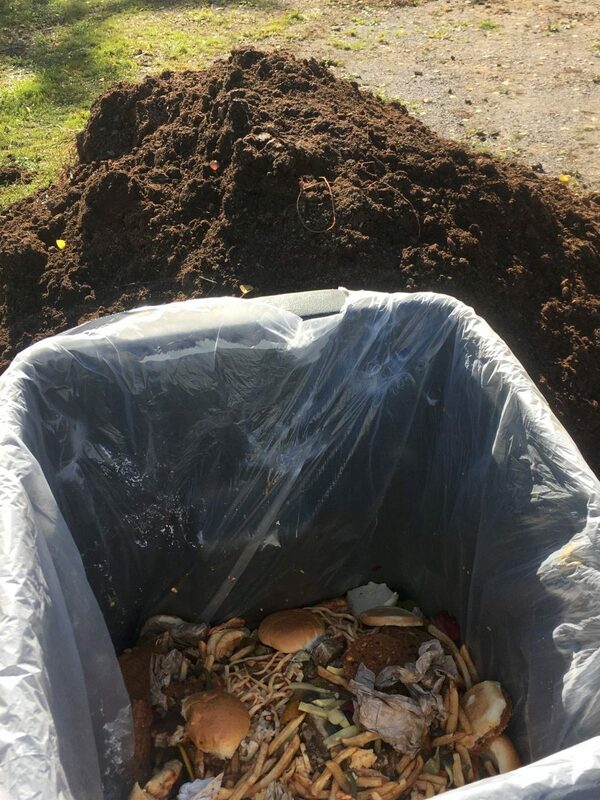 We compost well over 1,000 pounds of pre- and post-consumer food waste by collecting food three times per week in 50 gallon totes. 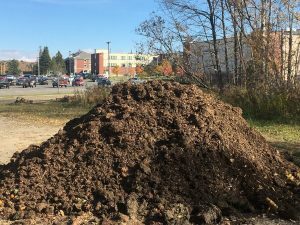 The totes are transported to a location behind Gentile Hall, where they are buried within a large pile of horse or cow manure and its straw bedding. 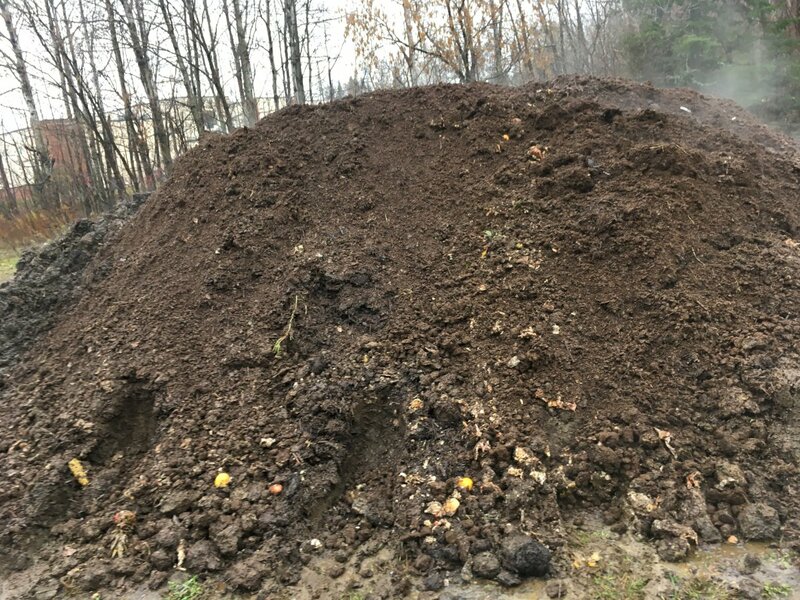 This method ensures that we maintain a hot pile, which mitigates concerns about co-inhabitants of the pile. 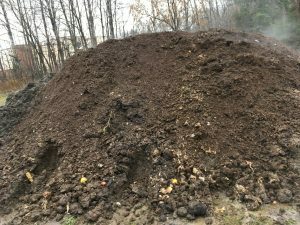 We expect to have finished compost ready for the first time during summer of 2018, and by then we will have a plan for using the compost.